You know those people in your life that can’t help but have a huge impact on you,even when they’re not even trying? I’m pleased to introduce you to this wonderful mother and grandmother who has nurtured me through the years, even though we’ve lived miles and miles apart from each other. Paula is a mother to 5 grown children, and grandmother to 24 grandchildren. 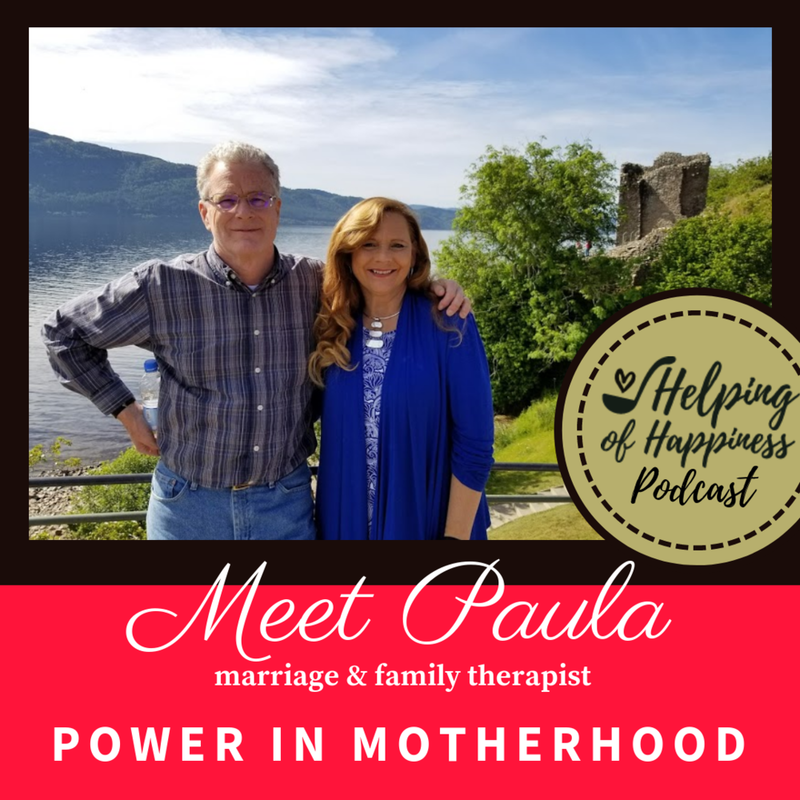 She is a marriage and family therapist who helps her clients find the joy and happiness they are searching for in their lives. 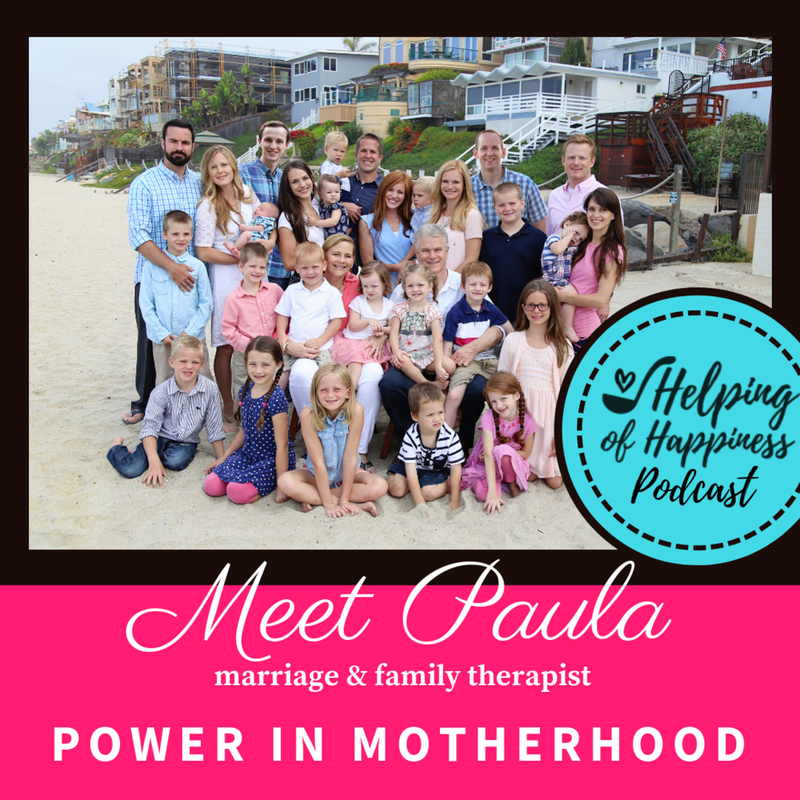 I can’t wait for you to hear all the wisdom and insights Paula has for us today! Click link here for $200 OFF!! They have knocked it down for you to only $47 by using coupon code: Helpingofhappiness This price is only sticking around for a limited time, so hurry up and purchase it as a Christmas gift for a friend or family member, or to get working on a New Year’s goal for yourself!! Olsen Media Network has had videos that have received 60 million views. These guys know their stuff. I’m halfway through the course and I’m loving it!! Light the World: Service Advent Calendar for Christmas from the Church of Jesus Christ of Latter day Saints.